You might remember I posted a video in support to end animal cosmetic tests earlier this year. 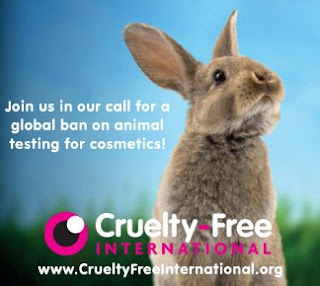 I now added this cute little bunny banner down to the right on this blog to support Cruelty Free International in their goal to end animal testing for cosmetics. If you want to add one of their banners on your blog as well you can find them on their Facebook page, an easy way to support them!